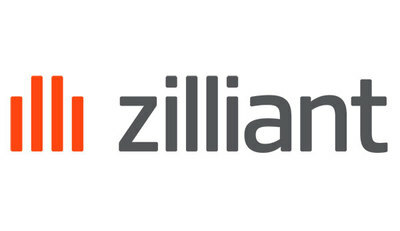 AUSTIN, Texas, Jan. 22, 2019 /PRNewswire/ -- Zilliant, a multi-tenant SaaS company that helps B2B enterprises turn data into actionable intelligence to accelerate profitable growth, today announced that METRO, a leading international specialist in food wholesale and retail, will implement and utilize the Zilliant Price IQ platform in Turkey. "We believe that Zilliant is the right partner to support our ambitious growth plans," said METRO Cash & Carry Foodservice Director Deniz Alkaḉ. "They are uniquely positioned to deliver optimized pricing guidance in both our Cash & Carry and Foodservice Delivery (FSD) businesses." METRO had investigated multiple software companies in the marketplace and concluded that Zilliant Price IQ was the only solution able to simultaneously address both shelf and FSD pricing optimization. Using a thorough business diagnostic process, Zilliant uncovered significant pricing opportunities by leveraging AI and advanced analytics, therefore solidifying METRO's decision to engage in a long-term partnership with Zilliant. "We're thrilled to expand our relationship with the METRO group," said Zilliant President & CEO Greg Peters. "Zilliant is uniquely positioned among price optimization and prescriptive sales solution vendors to deliver a single solution and instance that can enable B2B companies to accelerate profitable growth with AI-driven actionable insights that result in smarter commercial decisions throughout the company."